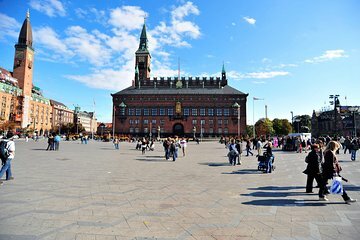 Explore Copenhagen at your own pace and customize your visit to suit your preferences with this self-guided audio tour. As you stroll the city streets, listen as the stories of its most memorable citizens come to life. See decadent palaces and grand halls, the impressive architecture of the Marble Church and the residence of the Royal Family at the Amalienborg Palace. Choose to spend as long as you wish at each stop along the way. As this is a downloadable and self-guided tour, there is no set start time. Likewise, the starting point is merely a recommendation; each of the points on the audio tour can be completed at your leisure. It is suggested that you choose a time of day in which the attractions you wish to visit are open. Please note this is an audio tour. No physical guide will accompany you. I liked it! It was very informative and easy to use.